Some men have a man cave for a specific purpose, like motorcycles shown here. My son-in-law is a fortunate man, with a large man cave, located separately from the main house. It used to be very difficult to buy gifts for him, but his male sanctuary has given me ideas of what to buy for him. Now I can actually buy things for him that he will not only like but really appreciate and use. 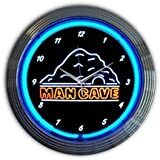 I thought maybe my readers might have the same sort of problem, so on this page I’ve provided you with carefully chosen best man cave gifts for the man in your house. It’s his domain, so help him to fix it up to be as comfortable as possible. But whatever you do, curb that urge to put anything frilly or girly in it. Remember this is for him and his friends to use as a retreat to watch the game, work on a project, or argue the latest sports stats with his friends. There are always appropriate gifts for the man cave, no matter what amount of space is devoted. As we all know, not everyone has the same space, money or time to devote to building a man cave. So let’s think about this in a sensible way: if you have a corner of the living room, you can dedicate it to him and his projects. If you have an extra bedroom, re-do it as a man cave. (But be sure you let him in on the re-vamp and get his feedback, by all means!) It doesn’t HAVE to be a separate building, just a place where he and his friends can get together. But beware…if you use a corner of the living room, do not, I repeat DO NOT trespass on that section. It is no longer yours to clean, pick up clutter, or concern yourself with. If you can put a screen between the rest of the living room and yourself, so much the better and those are available everywhere. Male Bonding, Do You Get It? He’ll love having this clock on the wall of his man cave. You’ll love it too, because it will help him know when it’s time to come for dinner! Seriously, it’s a great buy, requiring 2-AA batteries for the clock and an electrical outlet for the neon. It’s warranted for a year, and it keeps time like a champ! Can’t go wrong with this clock and it lends a bit of sophistication to his space. What Happens In The Man Cave…..
Stays in the Man Cave! You know how guys are…sometimes they get into telling tall tales, or maybe their language gets a little risque. If it happens in the man cave, it can stay there and nobody is the wiser. It’s a man’s world, beer, pretzels, chips, peanuts,TV, and lots of boasting and bragging. With this sign, everyone is on continual notice that nothing goes outside the man cave. 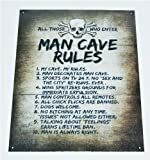 Even the man cave must have rules…you might find these hard to live with, but chances are your guy and his friends won’t! I bet he will put this in a place of honor, just so that YOU and YOUR friends remember the rules if and when he allows you inside. Man Cave Compact Refrigerator – A Distinct Necessity! You just know he needs a compact refrigerator for the man cave. After all, it’s no fun to keep running to the house or the kitchen to get drinks and snacks. This way, perishables are right there where they’re handy and cold. When the guys come over to watch the game, they can get their own drinks and snacks. That’s a gift to YOU, and a great gift for HIM. If his man cave is large enough, make sure there’s enough seating for his friends. This sectional is perfect for the guys to come and lounge around and watch TV. You can always find other styles and colors to suit the decor. The only problem with this addition to the man cave is that if the guys get too comfortable, they may never want to leave. For the card playing guys, this table and chairs fits 4 players perfectly. More than that would have to “sit it out” and wait their turn. But then when you’re in the Man Cave there’s always something to do while you wait for the table. 25 Awesome Hot Dog Recipes – You can’t go wrong with hotdogs. What do men love to eat when they’re watching a game on TV? If you guess hot dogs or burgers, Bingo! you got it right. Here’s a recipe book for 25 awesome hot dog recipes. There’s not a man there who won’t envy the man cave that contains one of these. Notice anything? 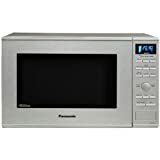 Does his man cave lack a microwave? It’s very much a necessity…when he wants micro popcorn or to heat up leftovers, or even to serve hot dip for the chips and pretzels during a game. Make sure before you buy, that there’s enough room in the space he’s using for his retreat and that there’s enough electrical outlets. Guys love the feeling of being present at the game! Men love to have a good sound system in their cave. When all those male voices get raised, it’s very hard to hear what’s happening in the game. Surround systems help override and come through loud and clear. Depending on the setup your man cave has, this surround sound system works well, allowing the men to get loud and boisterous and still hear what’s going on. More than 150 man cave recipes – Burgers anyone? We can’t forget man’s favorite sandwich, a burger, what they reach for when they need something quick to satisfy their hunger. Here’s a resource for recipe after recipe for over 150 types of burger recipes. They will have it handy in the man cave whenever they’re hungry or friends drop by. 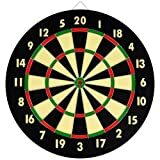 Dart Game for the Man Cave – Nothing like a competition of darts! One more game men (and sometimes women) love to play and compete with each other is playing darts. Dart games are lots of fun and it’s a great addition to the man cave. Men really like these kind of competitions, and enjoy seeing who can come out on top! Maybe if you ask real nice, he’ll let you in on the game too. I hope you’ve found lots of good suggestions for YOUR man’s Man Cave. After all, we all need a place to go when we want time to ourselves. A Man Cave is just the thing for the men of the house and their friends, to make noise, to yell at the TV at game time, to play their games and just relax. That’s the point of having a Man Cave. Trying to think of good gifts to get my 3 sons for Christmas this year and your article has been very helpful. Thanks Nancy! Men are always the hardest to buy gifts for, so these man-cave ideas are perfect. Thanks so much for this list of choices. Thanks Pat, I tried very hard to think of everything I could that goes into a man cave. Men really are hard to buy for, I know. Thanks for the visit.